You are currently browsing the archive for the August 2018 category. This Is How You Say Goodbye : Paying Due Respect to a Beloved Pastor. When the War ended in 1865, the Rev. Thomas D. Witherspoon answered a call to serve the Second Presbyterian Church of Memphis, Tennessee. That historic church, founded in 1844, continues to this day and since 1989 has been affiliated with the Evangelical Presbyterian denomination. Rev. Witherspoon’s ministry there began on September 3, 1865 and lasted but five years, ending early in October of 1870, when ill health forced him to retire from that pulpit to seek a less demanding post. Some of those years in Memphis had been tumultuous and challenging for a young pastor. Memphis suffered its worst race riot in 1867 and Witherspoon’s sermon logbook records something of his ministry on several occasions at the Fort Pickering mission, where the riot began. He found that quieter pulpit as the pastor of the Presbyterian church in Christiansburg, Virginia church, though he remained in this post for only one year while restoring his health, taking on subsequent duties as chaplain at the University of Virginia from 1871-1873. 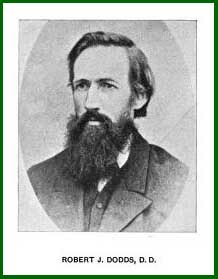 The following resolutions, offered up by his congregation in Memphis and published in The Christian Observer on this day, August 31, 1870, serve as a model of how the Lord’s people might express their love and esteem for a faithful pastor. For a closer look at Rev. Witherspoon’s ministry there at Second Presbyterian, our readers can view an annotated transcription of his sermon logbook by clicking here. Resignation of Rev. T.D. Witherspoon, D.D. Copy of Resolutions introduced in the Congregational Meeting of the Second Presbyterian Church, Memphis, by B.M. Estes, Esq., and unanimously adopted. That in uniting with T.D. Witherspoon, D.D., in his application to the Presbytery of Memphis to dissolve the pastoral relation existing between him and this church, we have discharged a sad and painful duty, and that we have taken such action only at his earnest request, and because we are constrained to concur with him and his physicians in the belief, that on account of impaired health it is necessary that he should remove to a more invigorating and healthful climate and assume ministerial duties less onerous. Resolved, That we greatly deplore the necessity which compels us to agree to a severance of the tender ties which have bound our beloved pastor to us for nearly five years, and while with bruised and sorrowful hearts we give him up, we tender to him the assurance of profound sympathy for him in his affliction, and of our ardent affection for him personally, of our admiration and reverence for him as a minister of the Cross of Christ, and of our deep concern and interest in his future welfare and career. Resolved, That to the faithful, loving ministry and labors of Dr. Witherspoon as an instrument in the hands of the Great Head of the Church, we attribute the present peaceful harmonious and prosperous condition of this church and while we collectively and as individuals recall the multiplied instances of his love for us, of his deep sympathy and tender offices in times of bereavement and sorrow, our hearts overflow with emotions of gratitude and affection to him, and of sorrow that we must be separated from him. Resolved, That a copy of these resolutions be furnished to Dr. Witherspoon as a testimonial of the appreciation and affection which the Second Presbyterian Church of Memphis entertain for him, and while our earnest prayers for the restoration of his health, and for his future welfare and usefulness will follow him wherever he may go—we beg that his prayers may ascend daily to our Heavenly Father for the peacefulness and prosperity of this church, and especially that the Master will provide for us another faithful minister to watch over the spiritual interests of this church. (1) The cover theme will be Witherspoon’s book, Children of the Covenant, with extracts from that work and comments by Dr. C.N. Willborn. (3) “Antiquary: A Transcription from Manuscript of a Sermon on Psalm 2:10–12 by George Gillespie,” with Introduction by W.D.J. Mckay and background and transcription by Chris Coldwell. (4) “In Translatiōne: Johannes Hornbeeck (1617–1666), Disputation Piety at Leiden, and a Translation of De desiderio animae erga Christum,” by Ryan M. Hurd. Additional contents will be announced as this issue finalizes for publication. To learn more about this issue, including how to order your copy, click here. His name was Samson Occom. He was an American Indian, a member of the Mohegan nation, and a direct descendant of Uncas, the notable Mohegan chief. In 1743 at the age of sixteen, and some say twenty, he heard evangelists in the Great Awakening in the American Colonies, and was saved. Immediately, he began to witness to his fellow native Americans with the life changing message of the gospel. He became a teacher, preacher, and judge to the Long Island New York Pequot tribe of Indians. So successful was he in evangelizing these native Americans, that on this day August 30, 1759, the Presbytery of Suffolk on Long Island ordained him to the gospel ministry, though he had no theological training. Samson began his education training under a Congregational minister by the name of Eleazar Wheelock. Convinced that under special oversight by himself, converted Indians like Samson Occom could be trained to evangelize their own race. So he opened up his school to them, but very few American Indians responded. Further, many of his fellow Americans Christians were in opposition to the idea. Wheelock transferred the educational opportunity to New Hampshire, hoping to draw in more supporters. But that idea backfired, so the Congregational minister appealed to the mother country of England for their support. 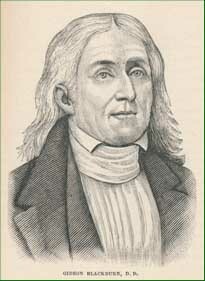 In 1765, he sent Samson Occom, and an American minister by the name of Daniel Whitaker, to the mother country. They, and especially Samson Occom, took England by storm! Preaching some 400 sermons, and collecting some twelve thousand pounds of offerings, Rev. Occom more than fulfilled the purpose of the trip. Unhappily, despite the promise to use the funds raised for the training of native Americans, Rev. Wheelock diverted the monies to educate “English” or “white” youths, beginning what is now Dartmouth College. A quick look at that present New England School website, however, shows that the spirit of Samson Occom has not been forgotten in its desire to train native Americans. Samson Occom could have abandoned Christianity for this “double-cross,” but he continued on to reach his fellow native Americans with the gospel. Christian Indian towns in New York, Michigan, and Wisconsin began under his leadership and example. He would go to be with the Lord on July 14, 1792. We can be thankful that the Presbyterian Church in America has under the auspices of Mission to North America (MNA) a Native American/First Nation Ministry outreach under the leadership of Ruling Elder Jeb Bland. Its website can be found here at https://pcamna.org/church-planting/church-planting-ministries/nativeamerican/. Yes, we need to reach the world for Christ and support Bible-believing missionaries to those far-off shores. But let our subscribers remember that in Acts 1:8, “Jerusalem,” “Judea,” and “Samaria” (in other words, “home” was mentioned before “the world” in witnessing for Christ.) Let us not forget native Americans in the Great Commission mandate. What are you doing, or your church, to reach your “native Americans” for the Lord Jesus, and His church? August 29: Robert James Dodds, D.D. At the PCA Historical Center, we’ve been preparing an author-title index to the THE INDEPENDENT BOARD BULLETIN, the official publication of the Independent Board for Presbyterian Foreign Missions, an organization formed by Dr. J. Gresham Machen and others in 1933. THE BULLETIN was first issued in January of 1936 and continues to this day as the primary newsletter of that organization. Moving through the early issues of THE BULLETIN, I was particularly struck with the thought expressed by the editor in the opening comments for this article (in bold type). These verses, Isa. 44:1-8 bring the promise of Pentecost, but not without the foundation of Calvary. How consistent God’s Word is in its oft-repeated revelation. Gal. 3:13 and 14 is the New Testament counterpart, Calvary, thence Pentecost. We must look back at chapter 43:22-28 to get the background of this love appeal, this promise. Verses 18-21 have preceded with their gracious foreshadowing of Pentecost, “a new thing,” a spontaneous, God-given outburst of new life; refreshment and satisfaction just where it might least be expected—”in the wilderness.” Is there anything as “new” as a Pentecostal manifestation of the Spirit? Verses 22-28 describe the spiritual wilderness in which this Pentecostal change is to be enacted. “Things as they are!” A God-weary, God-wearying people. “But thou hast been weary of me, O Israel.” No wonder then they had not called, vs. 22. For uttermost need, uttermost dryness of soul—Pentecost! God will pour Himself out. The curse absorbed in Calvary’s love-transaction, what is left to give but blessing? Gal. 3:13 and 14. Thus verses 4 and 5 picture the spontaneity of Holy Ghost life to the soul that listens. They picture Spring as it breaks forth from Winter barrenness and hopelessness. And now (contrast 43:22-24) there is deliberate response to the Divine Giver. Can any response be more simple, more safe, more satisfying than the one for which He has so long waited, “I am the Lord’s!” All Heaven is waiting for the soul that is the Lord’s. I Cor. 3:21-23. But why call himself by the name of Jacob? Can any good thing belong there? No, it is the heart confession of failure, utter failure. “What is thy name?” said the Divine Angel to Jacob at his life crisis when God wrestled with him to change him. “And he said, Jacob,” and God said, “Thou shalt no more be called Jacob, but Israel.” Israel could not be super-imposed on Jacob. Jacob could not grow into Israel. It is necessary to be perfectly honest in our dealings with God. “I am Jacob” with all it stands for—all the weary plotting and maneuvering to outwit and outreach another—all the failure to attain the thing for which I was made and which God was waiting to bestow—I am Jacob. “Thy name shall be called . . . Israel.” “One with whom God has power.” This is the true interpretation of the Hebrew. Hence Jacob’s power with God and men. Quite a Remarkable Man, Spent for the Gospel. Gideon Blackburn was born in Augusta county, Virginia on August 27th, 1772. In his boyhood his parents removed to Tennessee. He pursued his literary course of studies under the direction of the Rev. Samuel Doak [1749-1830] and his theological studies under the instruction of Dr. Robert Henderson [1764-1834]. Blackburn was then licensed to preach by the Presbytery of Abingdon, in 1792. Mr. Blackburn was the organizing pastor of the New Providence Church in Maryville, Virginia, and also took charge of another church called Eusebia, which lay about ten miles distant. Besides his stated labors on behalf of these two congregations, Blackburn frequently preached throughout the surrounding region, and was instrumental in organizing several other churches. During the early part of his ministry here, his life was frequently in danger, given the possibility of attacks by Indians. In 1803, he began a mission to the Cherokees, and his sacrificial efforts on their behalf produced remarkable results. In 1811 he removed again to West Tennessee, settling at Franklin, where he took charge of Harpeth Academy, while also preaching on a rotating schedule at five different outposts that fell within a fifty mile wide circuit. Within just a few months of this work, he was blessed of God to organize churches in each of those locations. On November 12, 1823, Dr. Blackburn was installed as pastor of the Presbyterian church in Louisville, Kentucky, and here again, his labors were greatly blessed. He was later made President of Centre College, in Danville, Kentucky, and served there from 1827 to 1830. He then removed to Versailles, KY, where he spent part of his time as pastor of the Presbyterian church there, and the rest of his time as an agent of the Kentucky State Temperance Society. In 1833, Blackburn moved on to Illinois, serving in 1835 as an agent raising funds for Illinois College. It was while traveling in the eastern states engaged in this work, that he conceived the idea of a theological seminary in Illinois. Eventually that school was established in Carlinsville, Illinois, though Blackburn died, on August 23, 1838, before seeing the culmination of his plan. The enquiry [sic] is often made whence originated the use of tokens at one period in this country, so extensively in the Presbyterian Church, but now almost obsolete? The following answer from the Rev. Dr. Miller of Princeton, to the Editor of the Southern Religious Telegraph, appears to us satisfactory. — Philadelphia Obs. “The use of Tokens had its origin in the churches of Scotland. At the commencement of the Reformation in the country, the Lord’s Supper was administered four times in each year. Afterwards, for reasons altogether insufficient, as I suppose, that ordinance came to be administered less frequently ; in none more than twice. The consequence of this arrangement was, that, whenever the ordinance was dispensed in each church, it was made an ecclesiastical occasion. The pastors of three, four, or five neighboring churches left their own pulpits on that day, went to the aid of their brother, and took the mass of their congregations with them, to enjoy the privilege of communing with their sister church. The sacramental service was commonly preceded by preaching on Thursday, Friday and Saturday, one of which days was observed as a Sacramental Fast ; and the Monday following the Sabbath as a day of Thanksgiving. This, of course, gave rise to much preaching, which rendered the presence and aid of several ministers highly desirable, if not necessary. When the Sabbath came, the Ministers, Ruling Elders and Communicants of four or five different churches were all assembled, and gathered round the same sacramental table. In these circumstances, the question arose, How should those who were really communicants, in good standing, be distinguished from unworthy intruders, who belonged to no church, and were perhaps even profligate ; but who, from unworthy motives, might thrust themselves into the seats of worthy communicants, and thus produce disorder and scandal? To meet this difficulty, the plan was adopted, to deposite [sic]in the hands of each pastor and his elders, a parcel of cheap metallic pieces, called “Tokens,” which they were to dispense to all the known members of their own church, who were in attendance, and wished to commune. Thus, although not a quarter part of the communicants were personally known to the pastor or elders of the church in which the sacramental service occurred ; yet those cheap and convenient little certificates of church membership, (for such they were intended to be) being received by each communicant, from the minister and elder of his own church, prevented imposition and secured regularity and order. Such was the origin of Tokens. They were then of solid use. And wherever similar circumstances and practices exist now, they or something equivalent, may be usefully emplayed [sic]. As in many other cases, however, they have been long used, both in this country and in Europe, where the circumstances which brought them into use no longer exist. But it does appear to me that the use of these passports to the communion table, in cases in which the members of a single church only (every one of whom is known to the minister and elders) are about to commune, is a strange, if not a ludicrous example of the pertinacity with which good people cleave to old habits, when the reasons for them have entirely ceased. A word to the wise…. Five Things to Be Avoided When Called Upon to Preach in Strange Churches. I. Do not chose texts which appear odd, the choice of which vanity may be supposed to dictate. II. Nor a text of censure. This is assuming. III. Nor a text leading to curious and knotty questions: then it would be said you preached yourself. V. Chose a text of an ordinary, edifying nature, connecting doctrine and practice together, still not a doctrine in respect to which there may be at that time much division among the people ; this, I think, does not belong to a stranger. Deliver the discourse with urbanity and Christian feeling ; you will then be welcome a second time. Certainly we’re not all pastors. So how might the rest of us profit from today’s post? How can you turn those admonitions to good advice for when we are visitors? 1. Bring your humility with you when wherever you go. 2. Keep your opinions to yourself, Don’t be condemning of others. 3. Keep your strange ideas and conspiracy theories to yourself as well. 4. Think better of others and don’t seek to show off in front of others. 5. Use your words to good effect. Seek to edify others, pointing them to Christ, whether directly or indirectly by your words. We are pleased to observe that the injunctions of the General Assembly, relative to the appointment of Deacons in our several Churches, has attracted attention, and in many instances, has led inferior judicatories to take immediate measures to supply the glaring defect which is so general, and has been so long continued. The disuse into which the office has fallen, has arisen from a wrong impression, that it may properly be dispensed with in any Church which has no poor dependent on its charity, or where the Elders without inconvenience, can attend to the poor. In reply to this, we refer to the requirements of the Church, which are imperative on the subject. The Deacon is an officer who is spoken of as an indispensable part of a rightly organized Church, and if he may be set aside by such a plea, as the one above alluded to, with the same propriety may the Ruling Elder be dispensed with, on some similar plea. The Deacon is a spiritual officer in the Church of Christ, and while it is his peculiar duty to be the almoner of the Church to its poor, it is surely not his only duty. Is he under no obligations to accompany these charities with kindly visits, religious conversation, and prayer? Is he not to give counsel to the widow in her affliction, and instruction to the orphan? He may be a co-adjutor to the Elder, and aid the Pastor materially in the well-ordering of the Church. The office of the Deacon was not designed to be a temporary one ; there is not one intimation in Scripture to this effect ; and although it originated in the peculiar wants of the Church at the time, yet those wants will always exist in a degree sufficient to justify its continuance. The duty of the Churches, therefore, is clear: they should forthwith chosed out suitable men to fill this office.—The Presbyterian. “‘But, it may be asked, of what use are deacons to take care of the poor in churches where there are no poor, or but two or three ? That, indeed, is a sadly defective state of the church where there are no poor ; there must be something very de- ficient in its zeal and aggressiveness, if amidst the multitudes of poor around us, and mingling with us, there are none in the church itself. When we remember that Christ in his message, sent to John the Baptist, declares it to be a proof of his Divine mission, worthy to stand at the close of the brief summary of his most striking miracles, as of equal or even greater convincing power; and that the adaptedness of the Gospel to come down to the most despised and degraded of our wretched race—to seize and elevate the vast masses of humanity from their down-trodden condition—is one of its most distinguishing characteristics, and one of the most striking proofs of its Divine origin—Is it not evident that any church that fails to gather in the poor, fails in accomplishing one great design of the Gospel, and in presenting to the world one of the most convincing proofs of the truth and power of Christianity ?”—James Beverlin Ramsay, “The Deaconship,” p. 15. Not many of our pastors today have a calling in both the ministry and the military, but James Hall served in both callings during his life. Born August 22, 1744 in Carlisle, Pennsylvania to Scot-Irish parents James and Prudence Roddy Hall, they migrated to North Carolina via the Great Wagon Road. Settling among other Presbyterians near what is now Statesville, North Carolina, young James received a local education. Influenced by his many Scottish Presbyterian neighbors, the young man received a call to God’s service. But home duties, specifically having to take over home duties due to the bad health of his father, delayed that calling, as this oldest son became the “father provider” to the family until his brothers would come of age. Later then in his life, he entered the College of New Jersey in Princeton, New Jersey where he studied theology under John Witherspoon, graduating in 1774. He even continued after graduation at the school under the same tutorship of this most famous theologian. Returning to North Carolina in the 1775 – 1776 period, James Hall began his life time ministry at Fourth Creek Presbyterian Church, after being licensed to preach by the Orange Presbytery. In those days, one’s calling included being physically enabled to fight various enemies who would remove your influence. And so, shortly after his licensing to the Lord’s work, he and his congregation went to war against hostile Cherokee natives who were killing and threatening the life styles of these early Americans. Rev. Hall served as chaplain of the military unit, ministering to the spiritual needs of these frontier soldiers. After successfully removing the danger, James Hall returned to his spiritual charge and was ordained to the gospel ministry in 1778. However peace was not soon to occur, for this was in the midst of the American Revolution. British forces under Lord Cornwallis moved into the area, ready to do battle against these upstart Scot-Irish immigrants. James Hall became the commander-chaplain to his congregation’s military wing. He fought at Cowans Ford, North Carolina, exacting many losses on the British troops before being forced to retreat. After the Revolutionary war was over, Rev. Hall continued to minister the Word of God, overseeing a two-year spiritual revival in his charge. One hundred and forty people joined the congregations of his three charge calling. Fourteen trips of missionary work in 1793 among the lower Mississippi valley extended the gospel to that area. James Hall died in 1826. Words to Live By: James Hall was a Christian man and minister who believed a life in service to the Lord Jesus was not wasted work in life. Look to your own spiritual life, dear subscriber. How much are you accomplishing for your Lord and Savior where you are right now? Prayerfully meditate on that question, and resolve to work for Christ and His kingdom anew, via your family life, your church life, and your work life where God has placed you. Only one life will soon be past; only what is done for Christ will last.